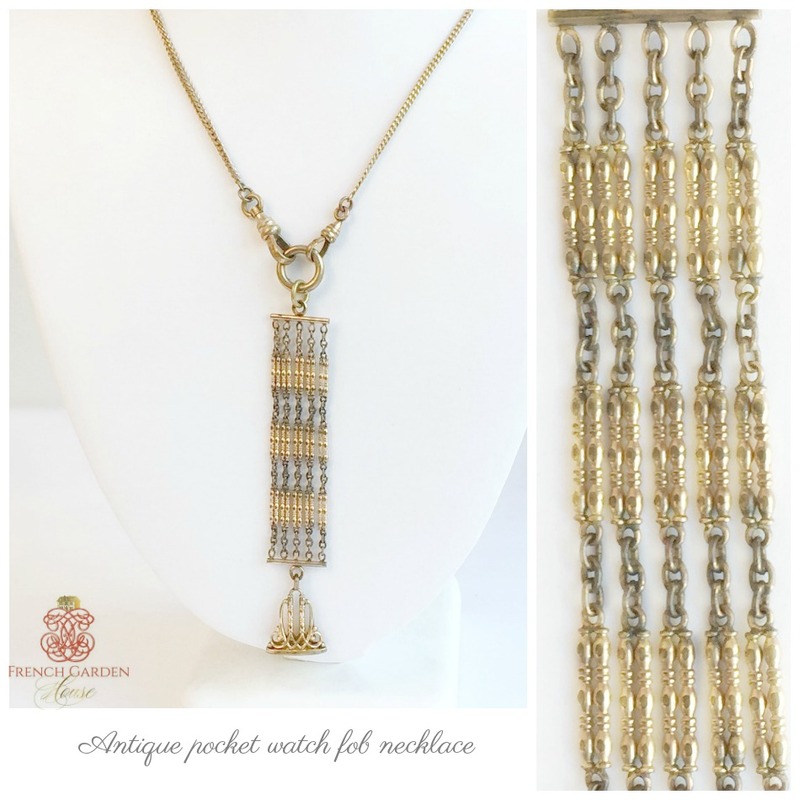 This long and lean beauty has an elaborately scrolled and engraved Edwardian Watch Fob that hangs from a two-tone five strand "ribbon" of chains, pure elegance. The gold fill fob has an exceptional open work top, and has the monogram H G L on the bottom. 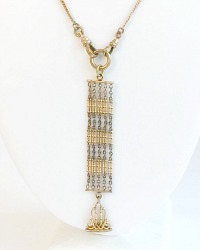 Two antique pocket-watch chains, one with an engraved slide, add visual interest. Curated by Georgia Hecht. 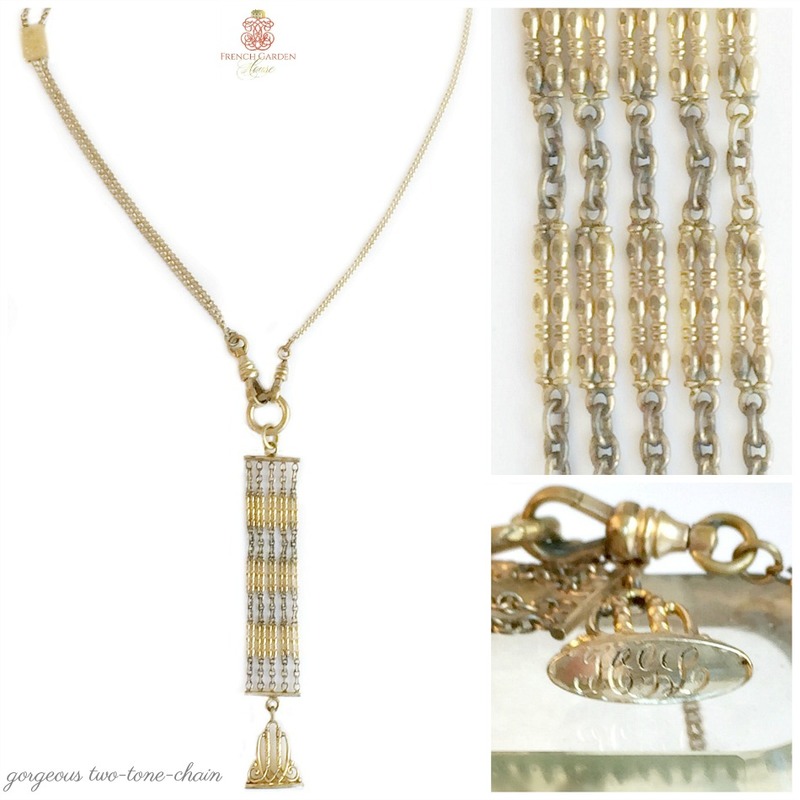 A fabulous addition to your jewelry collection.